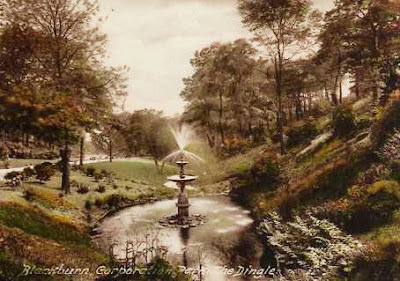 As you can see from the old postcard, this attractive little area, just off the main walk, is called 'The Dingle' (No, I didn't know either, until I saw this postcard). The older image probably dates to around 1900, give or take ten years and the bottom image, was taken by myself in the late summer of 2009. 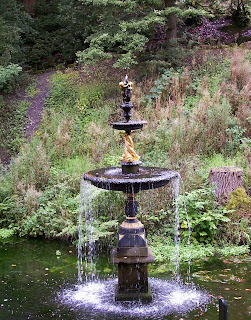 After the recent refurbishment of many of the features within the park, this little fountain looks just as lovely, over a century later. Well done to the Parks Dept and Blackburn with Darwen Council.